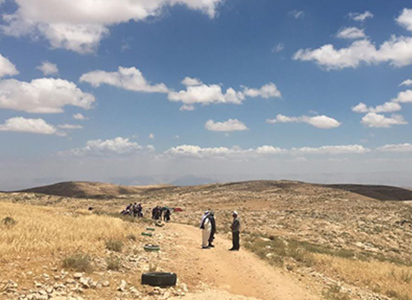 On Saturday morning I woke up at Sumud: Freedom Camp. The camp is set up in Sarura, a reclaimed Palestinian village in the South Hebron Hills in the West Bank. It has been built on the principle of sumud, steadfastness. Between 1980 and 1998 the people of Sarura were expelled from their lands through the violence of the Israeli army into nearby villages and towns, such as At-Tuwani, Hebron and Yatta. They have remained displaced since that time, until Sumud Freedom Camp was established on Friday. An unprecedented coalition, invited and led by the families of Sarura and other local Palestinian organisations, has worked together to provide a new home and a new space for resistance, as well as a new mode for articulating claims for Palestinian justice. During Friday and Saturday, as part of a delegation from the Center for Jewish Nonviolence of approximately 150 Jews from around the world – more Jews from outside Israel than have ever before come together for such a project – and working alongside the Popular Committee for the South Hebron Hills, Youth Against Settlements, Holy Land Trust, All That’s Left and Combatants for Peace, we engaged in a profound act of co-resistance: we planted Palestinian flags, cleared cave homes that dispossessed families had been forced out of by settlers from the nearby settlement of Maon, the IDF and the Israeli legal system, made roads and cleared paths, set up tents, engaged in conversations and learning, and we shared stories. On Saturday afternoon my work group joined in the task of concreting the floor of a cave. About fifty of us passed buckets of water along the line in order to make the concrete, which was then passed in buckets down a different line into the cave, where a Palestinian community member lay it down, turning a soft floor into a concreted floor, fit for the family to live in to return to their land. For a time I stood in the cave handing over buckets of concrete – a row of us passing buckets on one side, four Palestinian boys and men on the other, and with a loudspeaker blaring Palestinian music behind us, we danced and sang alongside the bucket passing. This was a moment of resistance that was cultural, physical, and spiritual. On Saturday evening we stood around the fire, dancing dabke, clapping and celebrating. We had finished a delicious dinner and we were making moves to watch a Combatants for Peace documentary projected onto a screen in the community centre, or to take on the night watch duty to look out for settlers and the army, or to continue talking and dancing by the fire. At 11 pm the army moved in on the camp. At first heading to our generator, they pushed and shoved people in their movement to steal it, thus cutting off the fairy lights that had brightened the camp. They then moved on to the tents, destroying one sleeping tent, then the supply tent, and then moved on the main community centre and sleeping tent. They took selfies of themselves with us as their background. One Palestinian nonviolent activist, Riyad Al Halees, was verbally threatened by a soldier who said to him, ‘I will kill you one day.’ They were consistently, frighteningly, violent. But as the soldiers moved around the camp, we stood in their way. Palestinians, Jews from around the world, and Israelis, stood together with arms entwined, singing and chanting, photographing, filming and livestreaming. One Palestinian boy stood on a wall and led the chants for a while. Issa Amro, the head of Youth Against Settlements, made jokes. We made it clear to the soldiers that the whole world was watching, and that we would not stand down. We would continue to resist, together, nonviolently. Coming as part of the Center for Jewish Nonviolence (CJNV) delegation, we were clear about the role that we played. As Jews from outside Israel, we were asserting that we were invested in the idea that Jews’ and Palestinians’ lives are intertwined. That our resistance practices and strategies need to work together, not out of obligation, but because we believe and feel it to be true. We were also clear that we were being led in this co-resistance work by Palestinians and that we would do the justice work that they required of us. Throughout, it was clear that we must recognise the ways that we are able to use our bodies differently to assert claims and further protests. It was evident – in the vast time that the army was there – that the fact that we were largely Ashkenazi Jews meant something to them. It meant that they were hesitant to use extreme violence against us. They pushed and shoved, hit some people with the ends of their guns, and pointed their guns at people’s bodies. And over the two days that we were there, when the settlers from the nearby settlement came to harass us, they never enacted physical violence. We know that if we were not there, the violence used against Palestinians would have been vastly harsher. This is part of, after all, the violence Palestinians experience everyday. Over the days after the camp’s establishment, more and more Palestinians came to join us. They shared their histories, told all of us their vital stories of dispossession and of their continued subjection to the routine violence of the Occupation. They told us that they were inspired by the camp, that they would take the model back to their villages and work to replicate it, and that it meant something important that so many Jews from around the world came to Palestine to stand shoulder to shoulder with Palestinians in the fight. One man from a village near Qalqilya, in the north of the West Bank, arrived by the fire at midnight on Friday and told us that he had travelled for six hours to be there, after he heard about the camp that was being set up. He wanted to be part of the moment, to replicate it for his village, and to encourage Israelis and internationals to join him. We energised and moved each other as our stories intermingled. For this is the important part: all of us, both present at the camp and around the world watching on through online videos and photos, or reading articles like this, must share these stories to understand the violence, and to ensure that what the army, settlers and government enact upon Palestinians – the ways that lives are controlled and harmed – is known and understood. We must engage not just with the individual stories, but with the powerful and entrenched structures of oppression and dispossession, that must be undone. We learn something new by being in a space, that I know. But we also learn something new by interacting with others online, and by doing co-resistance work with those for whom existence is resistance. In Australia – like the other settler colonies that many of us in the CJNV delegation came from – we walk on land that Indigenous peoples have been dispossessed of, and we also have an important role to play in ensuring that Aboriginal people can return and live on their lands. 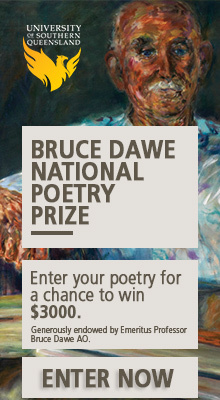 This work is vitally transnational: as we stand alongside those at home, we must see these connections, and work across borders and boundaries to ensure that everyone everywhere lives a just life, in the manner of their choosing. As the army tore down our tents, we told them that ‘we will rebuild together.’ And we are doing this. 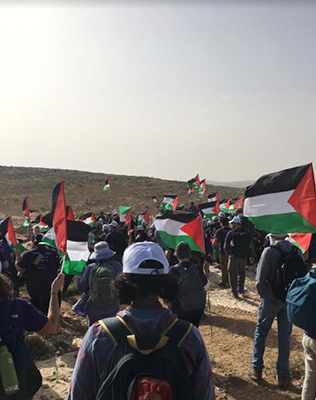 On Sunday morning, those of the Palestinians and the CJNV delegation who remained, along with others who were able to get around the newly-established checkpoints and arrive to help, sang songs of resistance from different times and places, rebuilt tents, moved materials to new homes, and ensured that the camp continues. Fadel, who was evicted in 1997 and whose cave home we had concreted, moved home. Every day new people arrive to join in the coalition. This camp in itself won’t end the Occupation, nor redress the injustices of the Nakba (the Palestinian word for catastrophe, for the creation of the State of Israel and the dispossession of Palestinians from 1948, which continues, in the way that all settler colonies do). These are both vast in their implications and methodologies. Indeed, we had earlier spent the week in different parts of the West Bank, cleaning gardens, clearing rubbish, participating in prisoner hunger strike protests, building a restaurant, and being harassed by the army and settlers. I worked with a group in the gardens of a woman named Fatima, helping to clear rubbish and debris thrown by Baruch Marzel (a renowned Kahanist) and other settlers who live above her property. 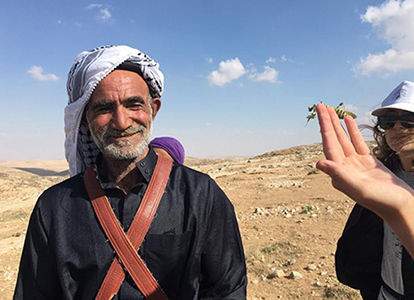 We planted flowers and herbs with Fatima before the settlers starting filming us, before the army arrived and made the space – her and her children’s house – a Closed Military Zone, thus kicking us out of it. This coalition, and the Sumud Freedom Camp it built, and the CJNV delegation in general, isn’t perfect. There are important critiques to be made. Alongside this are the feelings both that the dispossession and its material manifestations are so entrenched that they are permanent and unshakeable, and that one day it will all be overturned and there will be justice for Palestinians in this land. Our actions at times felt profoundly contradictory, complicated and ambivalent. But it all plays a part in a larger struggle, and opens up new frameworks for understanding, resistance and partnership. This is perhaps the best that all of us can hope for: to work together in deep, meaningful and resilient partnership with others in ways that are ethical and just, understanding that until we are all liberated, no one is. And Palestinian liberation is thus the priority. The hashtag for the camp and the project is #wearesumud, because we are in this together, producing a new future, facing off violence, steadfast to the end. The payment for this piece is being donated to Sumud Freedom Camp. 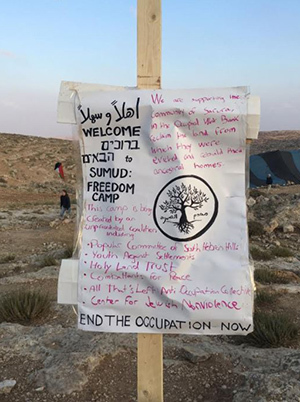 You can make a donation to keep this coalitional work going at the Sumud Freedom Camp generosity page. Jordy: My family had lived in Hebron since at least the 4th Century CE, all the way until 1929. That year 67 Jews were murdered in Hebron over the course of 18-hours. 22 were murdered in my family home including my paternal grabndparents, 2 sets of great-grandparents, a 3-year old uncle, and several aunts, first cousins and a couple of uncles. 3-days later every Jew still alive in Hebron was Ethnically Cleansed, forced unto busses at gunpoint and dropped off on Strauss Street in Jerusalem, penniless and homeless. Everything my family owned was stolen, and then Arabs stole all our properties. In 1967 Israel captured Hebron but did npt allow a single Jew to reclaim a single property. In hopes of fosterinh coexistence Israel gave the Arabs in stolen homes and businesses Protected Tenant Status allowing them to retain them for at least two more generations. In 1993 I became the first in my family to return to Hebron District. Now foreigners such as yourself call me a “Settler.” My family was in Hebron at least 3-centuries before the first Arab INVADED in 638 CE. Your “Camp Sumud?” The ‘Amr are Negev Bedouin who were chased out of Tel Arad in the desert in 1941 after losing a clan war sparked by their thievery. Squatting outside Yatta on stolen Jewish properties they were forced to flee again after murdering some Jahallin Bedouin in 1997. Now here you are in all your indignant self righteousness. Brother you know nothing about this land nor about its Peoples. A Jew from Australia in his own indigenous homeland shilling for those that steal and murder. Every organisation involved operates according to ideological motives, not out of trying to help. Worse yet, mostly foreigners interfering in the domestic affairs of nations they hold no allegiance to. When you hand my family’s property to Bedouin squatters what will you care? Its an adventure for you and that is despicable. Lastly, try asking an Arabic speaker what the word “Khirbet” means, cause its the first name of the supposed town you are defending, “Khirbet Sarura.” It means “Abandoned Ruins” and you are being either being scammed yourself, or perhaps cognisant of it are actively scammibg. Wonder what you would say if groups of Israelis went to Australia and took partisan stances in domestic affairs, stances seeking you to be homeless. What you are doing spits on the bones of my family, your own People.